How Important Are Crypto Investment Platforms? Home Olymp Trade Crypto Investment Platform in Review – How to Benefit From the Bitcoin Boom? Olymp Trade Crypto Investment Platform in Review – How to Benefit From the Bitcoin Boom? Bitcoins, Litecoins, Ethereum.. There has hardly been a more controversial topic in the recent news than the arrival of cryptocurrencies on the global financial scene. Is it a worthwhile investment, is Bitcoin to be trusted at all? Apparently, even though almost everyone now has an opinion on virtual money, nobody can give a 100%-sure answer to these questions. Some say that the blockchain technology has the potential to change the world. A lot of experts would rather take it with a grain of salt, but this is not surprising. We are sort of accustomed to see the world in a way which is familiar to us. Hasn’t it been the same with the Internet and mobile phones that have entirely revolutionized the traditional technologies of communication? The chance that our usual payment systems will likewise be transformed, remains – no matter how big and believable it seems at the moment. One thing that is certain about crypto assets is their ever-changing price. Following the latest developments in the industry and the prevailing investor mood, it travels up and down, causing the Bitcoin owners either a fair amount of anxiety, or triumphant euphoria. 1.2.2 How Can I get The Money Earned? Mining – or actually producing virtual coins – is the first associated way of earning in crypto industry. But this seems to be a business for a narrow circle of people, who possess the necessary technical expertise and hardware which responds to exacting capacity standards. Another is the initial coin offering (or ICO), which is a kind of fund-raising method for a start-up enterprise – and something a bit far off for an individual. So, investing in Bitcoin and other crypto assets may seem the closest method at hand for most of us. The main special feature here is a combination of high risk and probably the highest potential return available. Still, in this case you also need to have significant opportunities at the start – if we look at today’s figures, to buy 1 Bitcoin you need to come down with a pretty sum of $ 8,000. What if this is not an option for you? Then you might consider working with financial instruments, which are based on Bitcoin price fluctuations, but will not involve a large start investment. 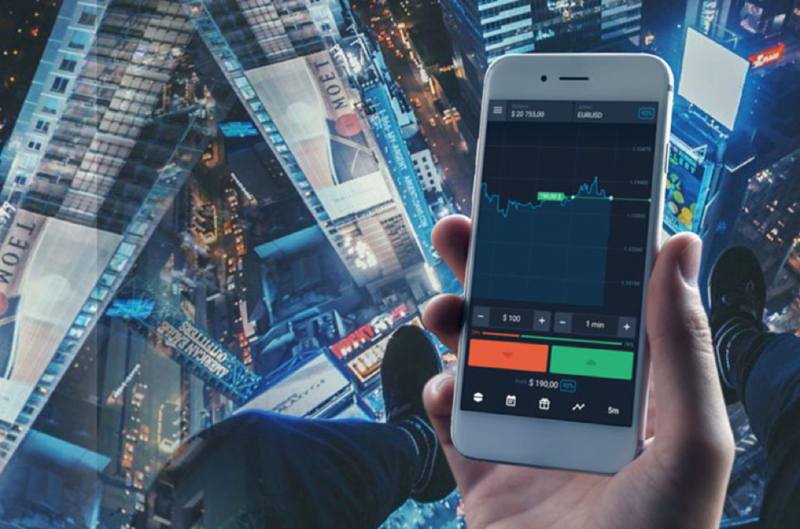 There exist online investment platforms, like Olymp Trade, that provide access to financial markets for everyone interested, on around-the-clock basis. All that is required to start trading in a live account is an amount of 10 dollars. This becomes possible because technically you do not need to purchase Bitcoin and put it in your crypto wallet. You invest in a financial instrument, and the outcome depends on whether you’ve forecast the direction of price trend correctly – for crypto money, or any other chosen asset. The platform is designed in a particularly transparent way, not being overloaded by complicated features. This is something that both beginners and even experienced traders will appreciate. Developers of the Olymp Trade investment solution have brought you the very essentials – a customizable chart, a set of useful indicators, technical analysis window and quick access to educational content. Open the list of assets available on the platform – it is located in the top-left corner above your trading chart. Next to the classical categories like commodities, regular currencies, indexes and stock, you will find a section called “Crypto Assets”. Olymp Trade offers a wide range to choose from: Bitcoin, Bitcoin Gold, Ethereum, Monero, Zcash and seven other similar assets. Bitcoin seems the leading indicator of other virtual money behavior, as its price dynamics normally sets the tone for its peers. The profitability of crypto investments on the Olymp Trade platform reaches up to 80%. 3. the direction where you suppose the asset price will go – towards increase or decrease. If your forecast proves right, the received income is defined by 2 factors: invested money and profitability rate of a chosen asset. That is, if you opened a 20-dollar deal in Ethereum, which currently trades at 80%, the successful decision will bring 36 dollars back into your account. Even though the description above is simple, it should not give you a false impression that online trading is all about a random guess. Only constant learning and analysis of the market situation have the power to make it profitable. And crypto assets are extremely volatile – so you will always have to keep an eye on the latest industry news. The initial deposit on the Olymp Trade platform is a pretty small amount, but that is not a reason to disregard an opportunity to practice. The platform supports both demo and live accounts, which means you always have free access to all platform features and can practice at no financial risk. Get 10,000 demo units and use them for studying various indicators and strategies first. A comprehensive education database and 24/7 tech support specialists will be there for you, too. One more thing – even after you have developed an edge in your trading, it is important to remember the number-one rule – not to invest the money that you cannot afford to lose. How Can I get The Money Earned? Olymp Trade is a brand owned by Inlustris Ltd. International and certified by the International Financial Commission. Since 2014, the company has successfully served customers from over 20 countries and 4 continents. Money withdrawals are commission-free for the trader and are normally processed within 1 day (5 days at the maximum), and several hours on average for a VIP trader. The payment tools include Visa and Mastercard, a choice of e-wallets like Neteller and Skrill, local banks, and actually the Bitcoin itself.